Known as America’s dairy, the vast expanses of this Great Lakes state contain far more than rolling fields and contented cattle. As well as a multitude of cheeses, this part of the Midwest offers plenty to keep the visitor – especially the outdoors-oriented visitor – entertained for weeks on end. 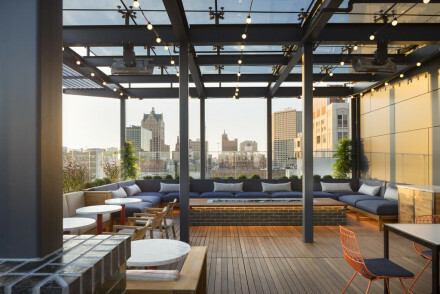 Our pick of the best places to stay in Wisconsin have something for everyone, whether you're a city or country lover. State capital Madison is situated bang in the middle of two lakes (Mendota and Menono), so if it's water based fun you're after, there's plenty to be had here. It's also known to be one of the USA's friendliest cities and one of the easiest to get around on foot. Fishing, skiing, kayaking and exploring the craggy lakeside landscape, can be complemented by hiking, biking, camping, sailing and shopping. 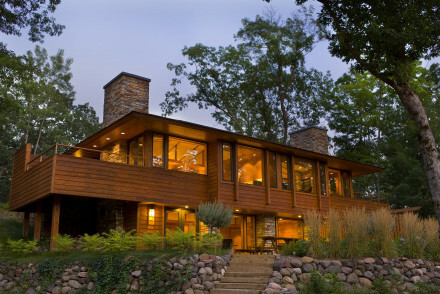 Then there are the great breweries and the famous museums like Milwaukee’s Harley Davidson Museum, and the country houses of the great American architect Frank Lloyd Wright, which are well worth a visit. Milwaukee people love their festivals, and they love their beer (brewed here for centuries to wash down all the cheese presumably! ), and the relatively relaxed pace of life here is in marked contrast to the East and West Coasts. 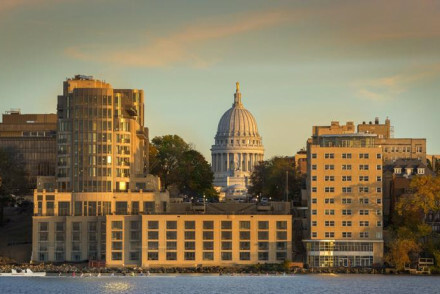 Our selection of the best places to stay in Wisconsin provides you with the best launch pads from which to jump into Wisconsin’s overflowing array of pleasant surprises. 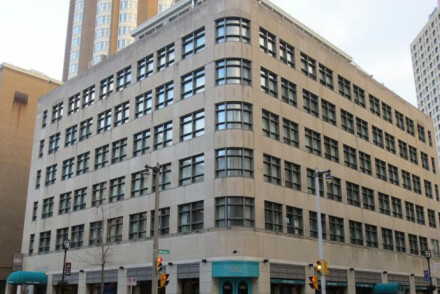 Ideal for business travellers as well as city breakers, the Hotel Metro is classic Milwaukee art deco. It's the perfect launch pad for exploring this fascinating, art-and-culture-endowed metropolis. 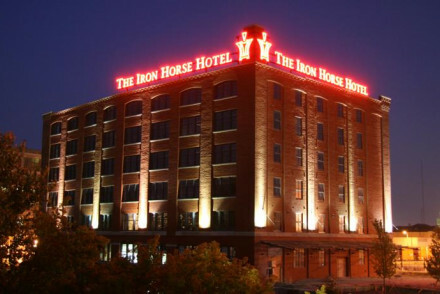 The Iron Horse is a Harley Davidson-themed luxury hotel just across the bridge from downtown Milwaukee’s famous Harley Davidson Museum. The Charmant is a candy factory turned boutique hotel in La Crosse, which retains many original features whilst beguiling guests with luxurious bedrooms, a restaurant serving French inspired cuisine and great roof terrace for chilling out! Try Canoe Bay, Chetek to enjoy the pristine peace and quiet of mid-state Wisconsin, a beautiful hideaway ideal for romance and escape, adults only! Still undecided? Browse through our list of the best places to stay in Wisconsin or contact one of our gurus for further advice. Standing tall on Lake Mendota, near to Capitol Square, this Art Deco boutique offers a luxurious stay for leisure and business guests. Modern interiors and ceiling-to-floor windows capture the light & Lakeside setting. Perfect hospitality includes the Wellness on the Water spa. Sights nearby - Check out the Capitol building and its bustling historic square. Candy factory turned landmark boutique revealing original exposed brick and wood beams. Art filled rooms are luxurious with town and park views. Hospitality is a main vein of this hotel, with restaurant, parlour and roof terrace options for dining. Business or leisure, this is the answer. Great walks - Head to Riverside Park, opposite the hotel, is a beautiful setting with boats to do a scenic tour on. Sights nearby - Grandad Bluff 600-foot-high offers panoramic views of Mississippi Valley. 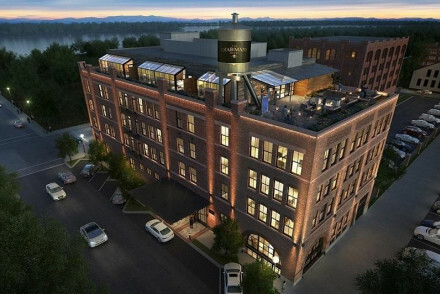 This Harley Davidson themed luxury hotel has spacious, contemporary rooms located in a converted industrial setting. The Smyth Restaurant is traditional in Midwest cuisine, breakfast in The Library, events in The Yard and drinks at Branded Bar. Spa and gym both complete the modern, business image. Sights nearby - Across the bridge from the Harley Davidson Museum. Art Deco environmentally conscious Milwaukee landmark for business travellers and luxury seekers. Large, contemporary rooms have access to pool, spa and gym and the treat of breakfast in bed. Zen On 7 rooftop lounge is popular across town on an evening, or casual dining at the restaurant. Sights nearby - Ten Chimneys Foundation is a 60 acre estate with rich history and stunning collections. Spa - Relax in the salt water hot tub with waterfall. This characterful new-build is a fantastic addition to the Historic Third Ward area. The rooms offer understated opulence with Frette linen, tasteful art and indulgent bathrooms. With a choice of two restaurants, an excellent gym and a pet pampering policy it is a perfect city break. Magical and memorable stay on a pristine lake in the heart of Wisconsin. Luxurious rooms some with fireplaces and others offering private saunas. Explore activities in sun or snow. The taste experience "Fresher is Better" approach hits the spot aided by the extensive wine list. A fantastic stay! Hideaway - Beautiful surroundings make this idyllic hideaway worth the trip. Make sure to ask for directions, don't rely on GPS. Fishing - The lake offers a world of activities come the summer months - fishing, boating, swimming, walking. Kayaking - Kayaking in the summer is a fantastic way to pass an afternoon. Restrictions on children - Adults only.